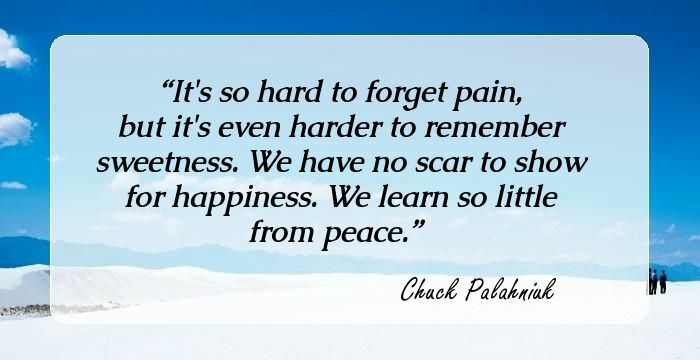 Pain is an inherent part of life. While no one in the world would want to go through the suffering, agony, sadness, and heartbreak pain brings, there is no denying of this uncomfortable fact—pain is not something you can escape from in this life. Each one of us on this Earth, irrespective of the species, has to go through some painful situations in life. Some pains are physical, some are mental, while certain others hurt you on the spiritual level. Painful incidents, whoever unbearable they might seem, play a major role in shaping you as a human being. Now that you can’t escape pain, why not turn your traumatic experiences and distress into a spiritual lesson which teaches you how to overcome your grief and loss and emerge stronger from the experience? As a popular saying goes, with time some of your greatest pains become your greatest strengths. While physical injuries hurt, it is the mental pains which cause the maximum agony. If one learns how to harness their emotional pains into a spiritual gift, they emerge truly stronger from their heartbreaking experiences. We have compiled a list of quotes on pain for you, to provide you with the motivation you need to keep going during stressful times. Did you really want to die?" "No one commits suicide because they want to die." "Then why do they do it?" "Because they want to stop the pain. You," he said, "are a terribly real thing in a terribly false world, and that, I believe, is why you are in so much pain. But who can remember pain, once it's over? All that remains of it is a shadow, not in the mind even, in the flesh. Pain marks you, but too deep to see. Out of sight, out of mind. We don't even ask happiness, just a little less pain. 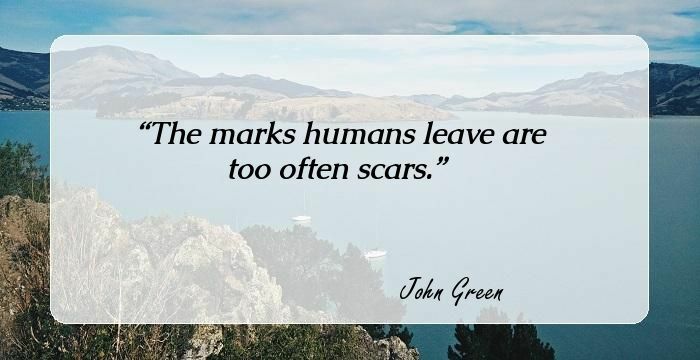 I always hated when my scars started to fade, because as long as I could still see them, I knew why I was hurting. Most misunderstandings in the world could be avoided if people would simply take the time to ask, "What else could this mean? Take it from me: If you hear the past speaking to you, feel it tugging up your back and runing its fingers up your spine, the best thing to do-the only thing-is run. Why is there ever this perverse cruelty in humankind, that makes us hurt most those we love best? If you are silent about your pain, they'll kill you and say you enjoyed it. Everyone always wants to know how you can tell when it's true love, and the answer is this: when the pain doesn't fade and the scars don't heal, and it's too damned late. The worst wounds, the deadliest of them, aren't the ones people see on the outside. They're the ones that make us bleed internally. Warriors should suffer their pain silently. Kiss a lover, Dance a measure, Find your name And buried treasure. Face your life, It's pain, It's pleasure, Leave no path untaken. Rejection, though--it could make the loss of someone you weren't even that crazy about feel gut wrenching and world ending. I just looked at her, feeling utterly empty. I didn't know what I was supposed to say to her. My life is in that bed. Please let me stay. I think sometimes when we find love we pretend it away, or ignore it, or tell ourselves we're imagining it. Because it is the most painful kind of hope there is. If you try to cure evil with evil you will add more pain to your fate. And so I wait. I wait for time to heal the pain and raise me to me feet once again - so that I can start a new path, my own path, the one that will make me whole again. Wisdom comes through suffering. Trouble, with its memories of pain, Drips in our hearts as we try to sleep, So men against their will Learn to practice moderation. Favours come to us from gods. It hurts too much so I don't want to talk about it. For this moment, this one moment, we are together. I press you to me. Come, pain, feed on me. Bury your fangs in my flesh. Tear me asunder. I sob, I sob. I know that it's easier to look at death than it is to look at pain, because while death is irrevocable, and the grief will lessen in time, pain is too often merely relentless and irreversible. To experience real agony is something hard to write about, impossible to understand while it grips you; you're frightened out of your wits, can't sit still, move, or even go decently insane. There are so many ways of being despicable it quite makes one's head spin. But the way to be really despicable is to be contemptuous of other people's pain.